It’s here! 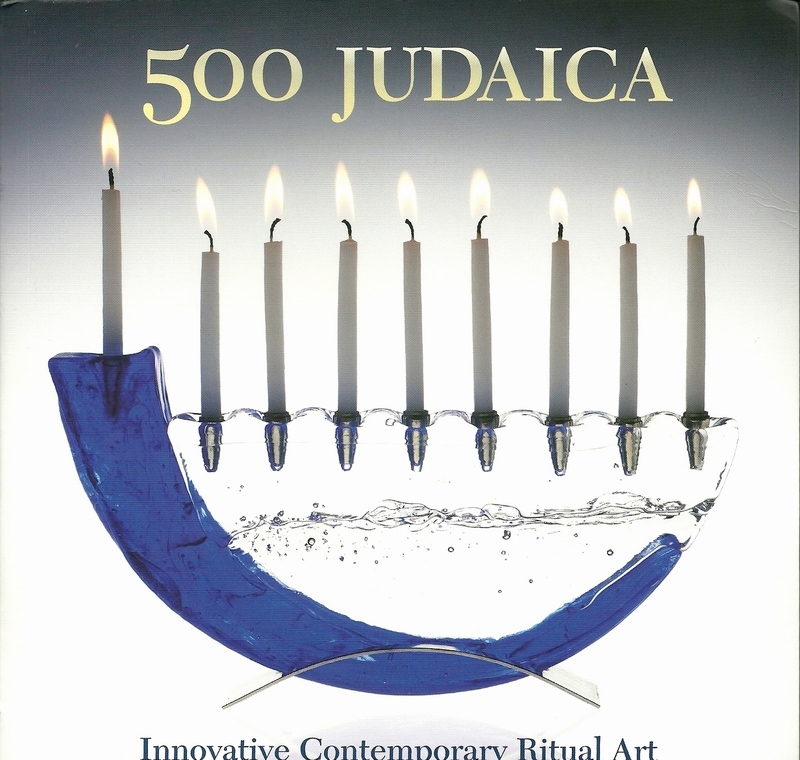 Lark Books’ latest book in the 500 series, 500 Judaica, was just delivered to me yesterday. And it is just lovely. I feel honored to be included in this beautiful visual collection of works by global artists and craftspeople who create ritual objects for Jewish worship. 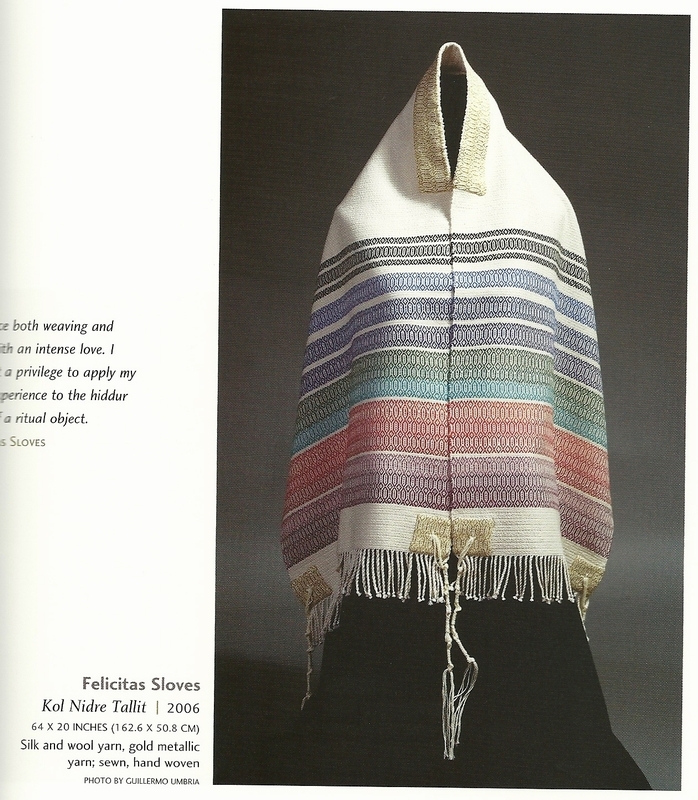 500 Judaica - Innovative Contemporary Ritual Art from Lark Crafts, a division of Sterling Publishing Co.
Four of my original design handwoven prayer shawls were selected for inclusion in this book. The design and colors of Asher were inspired by the stained glass window of the same name by Marc Chagall. 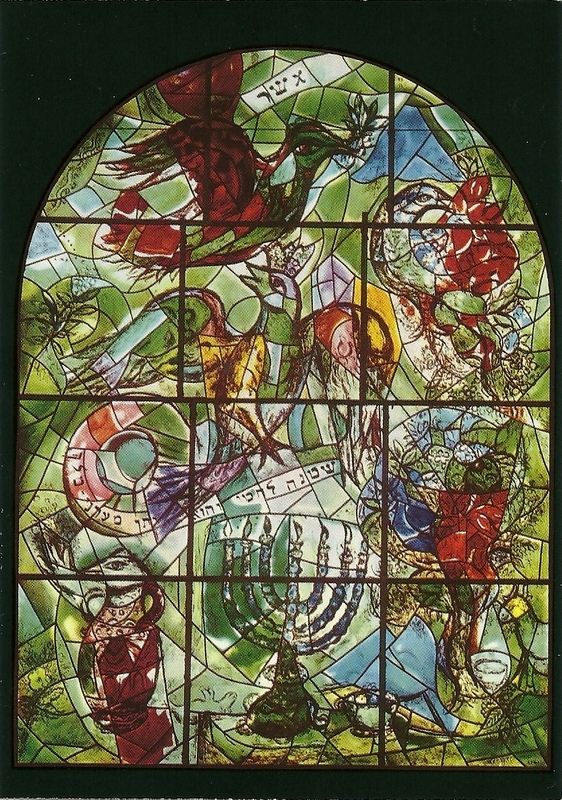 It is one of a series of windows, Jerusalem Windows, installed at the Hadassah-Hebrew Medical Center in Jerusalem. 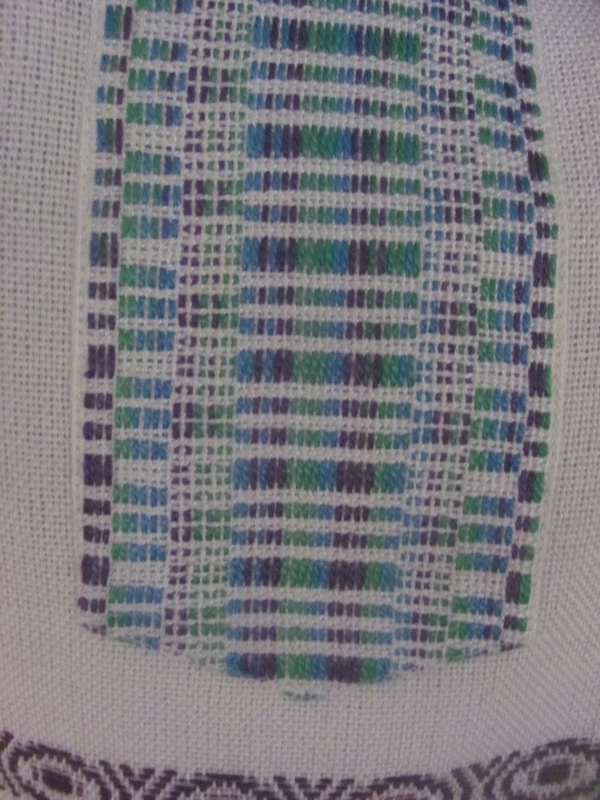 Tribute to Ruth on the left includes some handspun yarn that I inlaid into the atarah, or neckband. 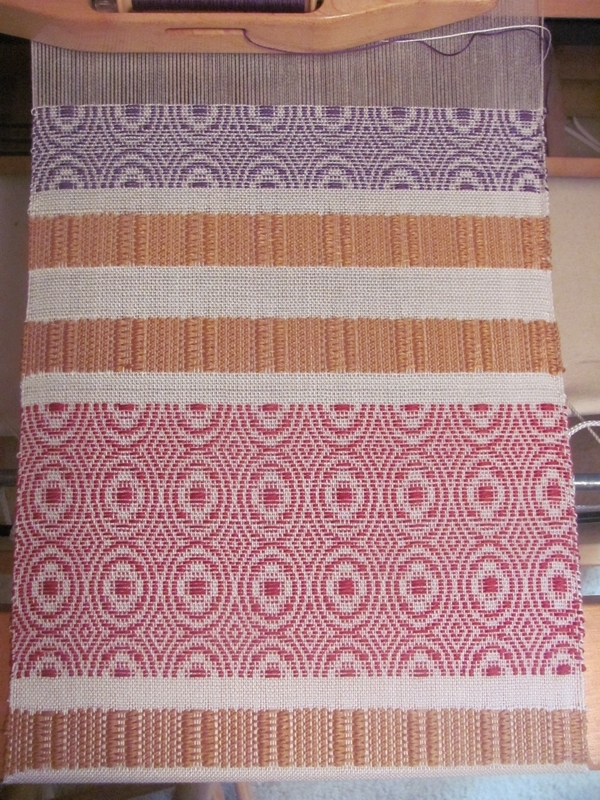 I created this tallit in honor of the Book of Ruth. Ruth was recorded as the first convert to Judaism, and she was the great-grandmother to King David. 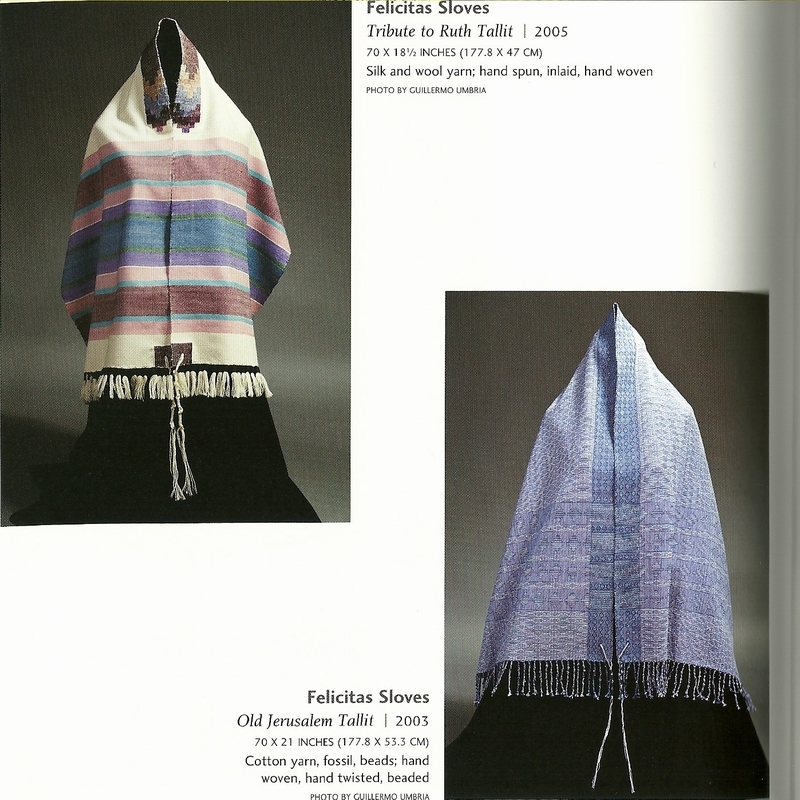 Old Jerusalem on the right of this page had been previously selected to be included in the exhibit “Best of Tennessee Craft” at the Tennessee State Museum in Nashville. The book is extremely well done. 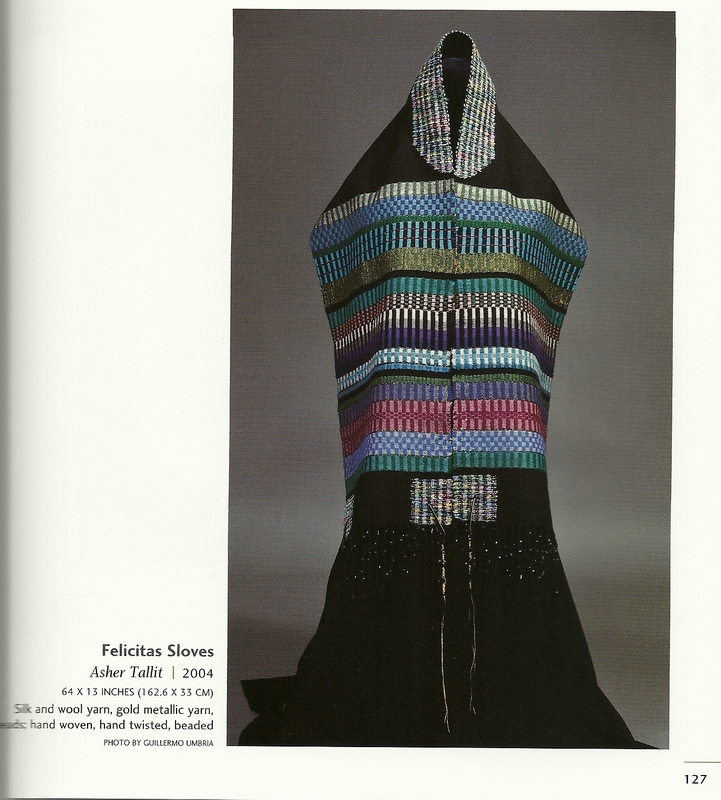 And certainly not because of my pieces. The photographs are all lovely and all craft media are represented here: wooden arks (which house the Torah scrolls), silver kiddush cups, gold mezuzot, ceramic seder plates, glass Shabbat candlestick holders, bronze and copper jewelry, paper ketubot (marriage certificate) with hand printed calligraphy, a beautifully embroidered huppah for a wedding ceremony. One not familiar with the beauty of Jewish ritual and worship will also learn quite a bit from the handcrafted objects used not only in a Jewish congregational service, but also in the more intimate setting of a Jewish household. 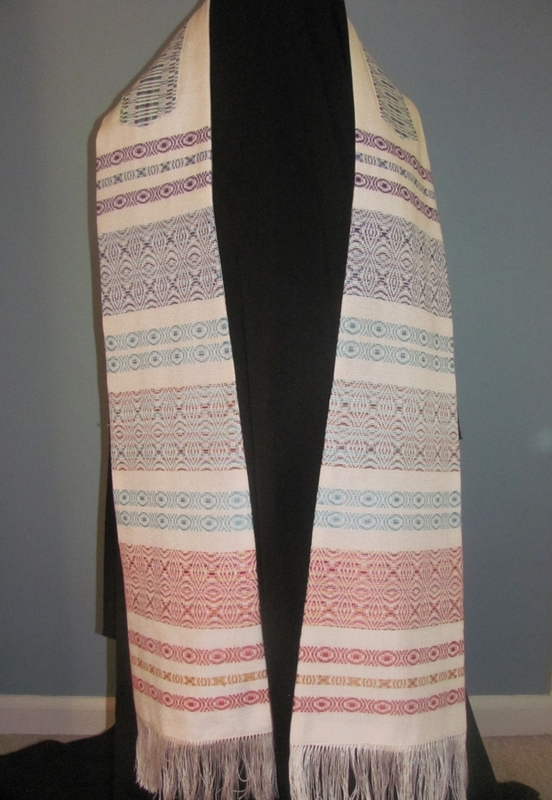 And yes, 500 Judaica is available now and can be ordered here.